to release another A.C. Sharp album. Join Mister Ace as he faces against Cash Jack in this action-packed soundtrack for a film that does not exist. Let yourself go as you imagine the adventure, the heist, the double-cross and the action as you follow Agent Mister Ace face off with Criminal Cash Jack. The opening titles A World Full of Secrets sets the scene of intrigue where we see the preparation of a secret agent and a criminal. We see a man in sunglasses and who caries a katana, Enter Mister Ace as he checks in to find his next assignment at the beach post where he discovers the secrets to a heist that is to take place of the laser, the reflective diamond that, when a laser hits it, can be redirected and intensified to destroy everything in it’s path. The heist takes place and all the witness see is a man in a mask. The diamond is stolen, and no one knows because it was replaced by A Sophisticated Forgery. Mister Ace then reaches the lab where he sees the forged diamond. He recognizes the marking left on the forged diamond as Cash Jack, the masked man who wants to dominate the world. Cash Jack demands One-hundred million dollars for the diamond. Mister Ace is suspicious but goes along with what his superiors tell him. Mister Ace watches as the switch is made in an airport, but notices that there was A Double-Cross in Lag-Time because the lay-over is short and that the diamond that is traded for the money is another forgery. Mister Ace has to take matters into his own hands and decides to go undercover as an agent working for Cash Jack as he realizes that Cash Jack intends to rob a bank and steel the most power laser ever made. Mister Ace does not tell his superiors and joins Cash Jack to Take, Stack, Go and heist the laser and the money. Cash Jack tests Mister Ace’s loyalty by asking for the codes for the laser guidance system. He decides to lie, but Cash Jack already knows Mister Ace is lying and it is A Slip of the Tongue that makes Cash Jack realize Mister Ace is actually an agent. Mister Ace tires to escape, but after a long fight there is The Capture of Mister Ace. Actually, Mister Ace wanted to be captured to be alone in the cell. He is able to escape the cell and use his ability to reprogram the laser through the Memory Tracks in the guidance system. After reprogramming the laser he needs to take back the money and the diamond. The money is only digital. He asks to connect to the agency and tell them to trust him. Through Decisive Intelligence, Mister Ace can transfer the money back to the bank and crash Cash Jack’s system. Right when Cash Jack was to test the laser on the diamond, the laser blows up because of Mister Ace and Ace takes the diamond in the confusion. Angry, Cash Jack attacks Mister Ace with all his firepower and manpower in his base. Mister Ace and Cash Jack fight, but Mister Ace ignites explosives to the computer system which begins to blow up the base. Cash Jack is injured as Mister Ace Escapes on Cash Jack’s personal jet. Mister Ace flies away as the base blows up in flames. Mister Ace brings the diamond back and the agency realizes he wasn’t a double agent. Instead he is True Blue. Please join us in welcoming our May guest presenter, Adam Sharp. Adam will be speaking on the topic, "Creating the Most Out of Meeting Clients." Choosing the perfect setting for a direct meeting is just the first step increating a successful client interaction. The details are as important as the pitch and the product and/or service you provide. This presentation will introduce four important steps and how they will maximize the means in creating a positive first interaction with new clients as well as meeting established clients. These steps will help to maximize meeting productivity, create effective client/service communication and establish positive interactions. Adam C. Sharp wears many hats including voice over, emcee, writer, director, instructor, performer and musician to name a few. He earned his Bachelor of Arts in English (Creative Writing) and a Master of Arts in Interdisciplinary Studies from CSULB. For over fifteen years, Adam has worked in the arts and business using his techniques of communication and creative advising to help others reach their goals. His presentations have included “Why Can’t We Get Along: Communication Skills in the Workplace” and “Creativity in Motion,” for business and educational institutions as well as workshops such as “Expression and Behavior: Acting Expression for Employment for Mentally and Physically Challenged Individuals” and “Understanding Body Language.” Adam is also a Professional Educator and Creative Advisor. Welcome! We are Spokane Entrepreneurs! Partners in Progress. We are a community of business professionals who lead, inspire, and grow themselves, their companies, and others to new levels of success. We have a networking event each first Monday of the month. We bring in presenters to provide an education element that will help business owners and entrepreneurs in taking their business to the next level. Our Inland Northwest business group is open to the public. From 5:30 - 6:00 is open networking. Please mingle and meet other guests. The facilitated meeting begins at 6:00. The time has come for A. C. Sharp to go back into the studio and become Sceptre. This time, Sceptre is Emissary Image who brings you light and dark ambient music. Sceptre explores the realms of space and time with "Reflections." Sceptre (Adam C. Sharp) creates ambient soundscapes that explore the dark ambient worlds. But, with "Reflections," Sceptre has explored both the dark and light realms with each track. Created from mostly field recording and found sounds, Sceptre processes and develops the expansion of those sounds to reach the depths of the imagination. Reflections begins the journey through time as the clock bell rings and carries you into the inner realms of thought and space, turning time and reaching inward. Unformed helps to create new landscape of thought within you. Vaguely presents the new elements you may explore through the turning of the new time. Fracture layers the times within the creative spaces. Relative brings the sounds inward with the inner voice and expansion of the world. Fragmentary brings the heart of the moment closer with the ebb and flow to time. Division creates the next layer of thought through the process. Unit establishes the moment where you meet yourself and explore from within. Finally, Segmentary, reveals the moment available for you to reach to the next step of the ambient world within. Take the journey into your creative self and your imagination. "Reflections" by Sceptre is a landscape of sound that will take each listen to a different place to see yourself from within and without through space and time through your reflections. The Movement of anything. What does it mean? A major change in ideas, ideology or systems? The subtle gestures a person makes? Is there a difference? Yes, a gesture or an idea can influence change, but so can a choice. The choice then creates a movement. What is done, how it is done and the way in which it will be done is variable. The goal is that sometime, a movement must be made. It can be as little as standing and taking the risk, making that choice or going forward with a decision that may not be for certain. But, once it is done then other movements can be made. To stand leads to walking, walking leads to a journey and a journey leads to what can be done. But, if that movement is never made then the journey can never begin. While it is a simple thought, it is difficult to actually do. Yes, many of the great movements that lead to changes in systems or institutions were done through the single act of a movement. What movement are you going to make that can lead to your journey? A questions that comes up for many people is "am I creative?" Well, of course you are. Everyone is creative! But, what happens is that there are social norms, ideas for specific outcomes, perspectives, point of views, opinions, experiences and the list goes on. These are ways in which one person or a group decides what is 'good' and what is 'not good.' As Pablo Picasso wrote, "Every child is an artist. The problem is how to remain an artist once we grow up." Well, that is a difficult challenge. Since there are those who create the 'rules' for creativity and decide what is good. Then, others follow through with them as followers and then we have some form of standards or ideology that we decide is the definition of what is creatively good or not good. There are even tests to prove how creative a person is or is not. Yet, they really only test productivity. Remember, creativity is the act of creating or the creative process while productivity is the act of production or producing something. We each have our own choices and experiences and what we create won't follow us after we leave this Earth. But, what we experience fills us for all we are and the moments that make us, us. So, a test cannot be created to quantify it. In my creative studies class I show them images, listen to sounds and even feel inside the container I am holding below. They write their reactions. Individual reactions and personal. This creative experiment reveals the individual creative experience and the creative process is alive. Each of us are creative. Yes, products bring profit, but again, profit will not follow you after life. Enjoy your creative process. Christmas time is a time for giving, for family, for friends and for the joy of all that it represents. It is also a time of creating. Creating memories, moments, cares and the thoughts of a new year. What can happen is that we obsess about what we haven't accomplished or what we want to accomplish in the future. But, the importance lies in the moment. Existing, feeling, and creating the moments. Learn in the moment. Create the moment and through the moments comes the life you can learn and create. Through the diversity of the imagination comes the creative spirit that is in all things. Creativity is a positive world of smiles and through the pain and joy comes the feeling of being in the now. During this holiday season enjoy the creative spirit within you by enjoying the moments as they come. Happy Holidays everyone! What is the Right Creativity? Tomorrow I will be performing with a fellow musician, Todd Milne. While I will not be playing music, I will be performing. Back in the year 2003, I graduated with my Master of Arts Degree in Interdisciplinary Studies with the concentration on the Creative Process. As part of that degree I had a performance aspect. I performed a movement piece similar to the one I will be doing tomorrow. And, I have performed it for my Creative Studies Class I teach at SCC. But, this time it will be different. I will be completing the activity at a public forum. A place where I am not in control or hosting. I will also be collaborating with a live musician for the piece, something I haven't done before. There is a sense of nervousness about it, but is that a good thing? Yes, it is something new, and I have no idea how the audience is going to respond. While not offensive, it does explore emotions that may make people feel uncomfortable (especially since they many not even know who I am. But, that risk has some excitement. The unknown. And, with age comes honesty. Honesty with yourself. And, the care of what others think is not as important as what you create within yourself. So, just as I will be doing tomorrow, take that risk on your own. Something that makes your feel, but you don't know the outcome. Have fun! My birthday was the first of this month. Okay, what is the for stating that? Well, time for one thing. Yes, I am a year older, but that's not what's important. The importance is to know that it is a moment. The moment that is socially and communally important. A birthday is a celebration. I have to refer back to Walt Whitman with the idea of "Celebrate Myself." We don't need a day to celebrate who we are and what we are. Awards aren't going to define us, they give us definition to others based on standards created by others. The true self is that person who we are when we smile to ourselves, or simply share it with another. That moment is what means something. A person does not climb a mountain to see the other side or for bragging rites (and if the do, it soon passes and that person is looking for the next thing to satisfy that missing part of of him or herself). The person does it because he or she wants to feel the moment of being. With courage and strength, the person takes the steps forward. But, the moments are what make it important. The beauty around, the difficulties. That is what means more than a date, what we are given or what we find are goals. This is a very difficult concept to master. (I continue to work on it myself.) But, when I am in that moment, it is real. The real me. And, it is the real you. It's been a short while since my last post. But, I'm back. Now, let's look at the challenge of creative growth. Not the continual growth that happens when learning and developing your skill in the creative field you choose to participate, let's look at more of the field of changing the tools. For example, what if you are used to using oil when painting and you changed to chalk. Now, you are comfortable with the oil and you have developed skill. One one level you might need to change because of cost, supplies at hand or, if it is for work, the client wants something that is chalk. Now, you could easily just put it aside and say, "Nope. No way. I'm good at what I do and the way I do it." Or, you could take the risk. Use the same skills with a new tool to guide you through the possibilities. This could apply to a musician composing on a piano that now used an ipad, an actor working on a film rather than on stage, a presenter using humor instead of straight facts...it doesn't matter the medium, what matters is the need to adjust, concentrate and use the impulses you are used to using in the new area. This adjustment is true in all facets of development. Recently, I created two things that were out of my normal range. First, was my new Sceptre album, "Manifestation." I created all my music with synths, voices and instruments. But, this time I used all pre-recorded stuff I did before and found sounds as well as Jenn's voice to manipulate the sound waves. It was a challenge, but I did it. Also, I am not a landscape architect, but I created a weeded area in the backyard into a wonderful rock garden with a fountain and everything. It's not what you do, it's how you do it. Also, checkout the Dark Ambient Denver Podcast featuring "Apparition" from "Manifestation." It's been a little while since my last entry. Yep. Been busy. Working with Jenn on Courage4Confidence, working my VO and currently directing a play at SCC called Exhibit This! : The Museum Comedies. Also, working towards a new release under my Sceptre name titled Manifestation. That last bit, is where this entry will lead. Not so much about the album, but about the ability to create out of the unknown. Time continues, but it's what we do with the time that makes the difference. Remember, it's not about the product, but the process. So, with that element of process we can see the importance of the moment and not of the need for it all to be concluded. The example comes with Manifestation. It is a collection of not original music, but music I have once created and then manipulated the wave forms to recreate something new. It's not about the product, but the process of creating them that makes the difference. I allowed myself to first take the track and listen to it, then switch it and cut it, then twist it and continue until the moment passed. Once it passed it can only come again if the thoughts of the music (or any work) is in motion again. Another example is below. The video is simply an improv opening for an improv show I worked on with the SCC Players to perform. The idea of improv is to make it up as you go. And, then the flow is what makes it all worthwhile. So, I made up the movements and the others followed. We continued with other imrpov games for the audience and those that were about the flow of the moment worked best. It's not the thinking, it's the doing that matters. Energy. We create it and we release it. So, where do it generate from? Yeah, food is good. Rest is good. But, the core of it is within ourselves. Now, before you ask: What does all this have to do with The Green Lantern? I will focus on that now. The character of the Green Lantern is a wonderful example of the creative process. He wears a ring that is always a part of him. And, with it he can create anything he can imagine. Yes, that is the creative process. Taking all that you know, all that is possible and creating something only you saw. But, there is also that one aspect of the character that is also important. He must recharge the ring in the, yep, green lantern. There is a wonderful series of DC Comics with five recreations of the character, a whole world of ideas and even a movie. What I would like to focus on more is the metaphorical aspects. He is my favorite superhero because it so exemplifies the ideas of the creative process. The ability to create something, anything, but still needing to recharge after a while. We can clearly see the metaphorical aspect of the ring. But, how about the lantern? A person's lantern can be anything. Anything can be that recharge from listening to music, relaxing, exercise, time with a child, pet or loved one. And, that time is important recharge time. Then, it is time to create once again. This is what I call The Green Lantern Principle. Now, go create, and recharge when needed. (Below is me in my Green Lantern hat. Yep! Imagine a world where creativity brought respect and truth in society? Well, that is an impossibility. Not because the creative search cannot bring respect, but when someone is really utilizing his/her own true creative process it is rarely recognized. It is safer to simply follow the formatting, structure and outlines given to us by others who did half the job. Yep, there are those who actively work on the creative process for attention. And, that is great if that is all that is sought. But, to experience the creative growth a person must first do it for him/herself. Then, he work towards the goals. Recognition may come. Respect may be gained. But, that is not always true. The ability to experience who and what we are is not an easy task. That is why many people use the creative process as a means of self promotion. Now, as I stated, there is nothing wrong with it. But, if that is the only reason, then the person might as well follow and do what what done before him/her. Because that person is busy trying to 'do' rather than 'be'. The persons is trying to do things and move rather than be in the moment. The moment is all we have. Not the future or the past. They will come and go. But, the moment, now that will always be. And, the creative growth is apart of that. Taking risks. Seeing possibilities. Looking for the moment. I spend much of last year's blog entries looking at these ideas. (Making them into short sentences is for dramatic purposes only.) And, these are the meanings behind any creative venture. I enjoy engulfing myself into these ideas through any creative activity I work on be it writing, music, directing, voice work or anything. And, essentially, the joy comes from not knowing exactly where it will lead. I think of this idea because, not only do I teach others through acting, I also teach them directing. Tomorrow I meet with students I've worked with before and may have directed before, but I am giving them the challenges that they may not even know are there. Then, after they see the scripts I give them (which were original scripts submitted by writers) they are given a new challenge. Then, there is the challenge of casting and, well it all starts to come. Creating a world for an audience for a short period of time is a challenge. It's similar to creating a short sting of music, a short film or a short story. With full length works the creator can slowly develop the and help the audience discover what is revealed. With a short work, the creator music truly launch the audience into the work. The connection I am making about this project called Scenes of Life I have continued for five years at Spokane Community College and how it relates to you is: how do you discover the creative challenges? Are they given to you? Do you find that you need to connect to another person is a short period of time (direct communication is a form of creative processing)? Or, are there many elements you need to work on to create what needs to be done? Apply these ideas in your next work and see what you are able to discover. As the new year has come there also comes ideas for a new you, new possibilities and high hopes for what is to come in the year. But, are we reaching for something or working towards the continued journey. All journeys have difficult paths and easy paths, and sometimes we need to come to grips and strive forward. The possibilities of where the path goes are endless. But, one fault that can occur is to have one specific goal. That doesn't mean to not be focused on a goal or goals, but to see the possibilities that are available while on the year path. Who will you meet along the way? What experiences will come that you had not planned on? What challenges will evolve? There are always possibilities that arrive or that we see. Yes, a focused plan is important. It is also important to allow yourself to follow onward to see where the next steps lead in this journey. Who knows what might happen? The creative juices are always flowing within each of us. It just our choice where and how to build the pipeline for the creativity to flow through. All our creative awareness exists in all we are at the moment. All our past and present converge in the moment when we create. Okay, let's just take our head out of the clouds for a moment and exist in the moment. When we create we are always waiting for the right tools. But, those tools that we're looking for are only tools and not the process of creating itself. For example, I wanted to play the drums, all kinds of drums. The first drum that I had was something very simple, but I chose to learn rhythm and chose to experience what I was at that moment. On a side note, not one musical note, brush of a paint brush, writing of a thought or any other creative action at the moment will ever happen again. It is that moment and that is all. So, if we wait for the perfect time then it will never happen. Yes, this is where the idea of flow comes again. So, as we near the end of the year, don't look back at what was missed or forward to what is to come. Make the moments what they are at the moment. And, enjoy the creative juices as they flow. But, most importantly, give them a pipeline to flow through. Also, FYI, Jenn and I will be performing for First Night Spokane so come an join us if you're near. Voice Over, Directing, Teaching, Composing, Performing! Working and balancing projects is not easy. It's been a little while since my last post, and it's time to write up. Working on continually improving as a Voice Over is such a continual practice that there is never an end. But, working on projects and auditions is also important. Also, I'll be going back to teaching in the next few weeks and directing several shows at the same time. I also was to spend important time with my family. So, the meaning behind this entry is, yep, balance. It's a very difficult prospect to promise one's self. To work on projects with enthusiasm, but never expecting a specific result. Knowing when to work on the project and when to stop. It's all a balance. No one can be "At Peace" all the time. Everyone feels irritated, angry, happy, joyful and all the other emotions that follow. But, the meaning behind the moment (yes, the moment idea comes up again) is the most important quality of balance. Feeling the emotions and ideas and working towards the goals is important, but so is understanding personal balance. Just purchased the Korg Wavedrum. Now this is cool. I've only begun to play it. But, it has some crisp sound and some great combinations of sounds both real and synthesized. Will definitely be taking this to future gigs. Working on R.U.R. (Rossum's Universla Robots) I notice some of the ideas repeated in current times. The idea of human rights and what is important to the individual. No, this will not be political, rather it's a self-exploration of what is most important to the person. Think about it, many people will tell you that one thing or another will make you happy. The future is now and all that other stuff. But, the truth is, what is the moment going to be when you let go. When you step back and notice who you are, what you are and what you have accomplished for yourself. Not financial or rewards (yes, I know it's come up in previous entries), but the internal growth of who and what you were, area and what you may become. You do not have control over all things or time, but you can ignite the energy within you to begin the momentum in the self understanding. Otherwise, you will only watch as you grow older and allow time to own you instead of you owning time. What is real? You are the real you want to be. What is real? I know, it brings on the existential questions and thoughts of our existence. But, the truth is, I am looking at it as a use of metaphor. A metaphor is the strongest element is storytelling. Using it can make others see their own truth. But, it isn't always easy. As I always discuss to my students, the best fantasy and science fiction is filled with metaphor. It it were all shooting laser beams and flying ships it would be a waste of time. Well, it still might be fun to watch, but it wouldn't be something that matters or that will last. Start Trek is a great example. When it began it was about how society needed to learn ideas and thoughts through their experience as they viewed the metaphor of who and what they were on the show. More specifically, if a person were prejudice then watching the episode that has to people with opposite sides of their faces black and white might reveal the ridiculousness of being prejudice based on the color of skin. Now, I view all this as a true connection to R.U.R. (Rossum's Universal Robots) that I'm directing. I am seeing the metaphors filling the pages and the stage as I direct it. Yet, it was written almost a hundred years ago. Metaphor is stronger than reality. I look forward to seeing more what I can find in the metaphors of the play. The next level. What does that mean? Does it mean that we are improving? Does it mean that we are having more challenges? Maybe, but it could mean just a new place, a new way of looking at ideas and situations. Also, a new level of understanding. When we venture forward through the creative process we are always searching for the next level of success and the product to be the golden opportunity. But, the truth is that we mostly need to continue to move in a direction that will help us gain what we need. For some it is a new job. Others, it's a new relationship. Or, it could be looking through clouds that we only saw covering the sun. The rain is a fun experience and it is something that we can enjoy. The rain of change. Don't be afraid to experience it. Here's a fun picture taken by the local newspaper of my wife and I. The ideas of creative expression and creative exploration evolves within us all the time. But, sometimes we don't look for it. Or, we believe that we don't need it. It's this exploration that helps us grow. I fortunately con continue to explore those elements through my teaching, directing, performing and other activities. But, what if it isn't a part of the activities we exist in on a daily basis. Then, we can search for it. Because remembering the worlds we created as children may be different than they were when we were children, but they are still alive, waiting to happen. Now, I know that is an extended metaphor, but what I'm focusing on is the ability to create the enthusiasm within ourselves. The understanding that this enthusiasm doesn't come from others or other substances, but within ourselves. A child does not search for energy, he or she has energy. That energy doesn't leave us, it just becomes hidden by the fear and loss of wonder. But, that wonder is still out there, we've just forgot to search for it. So, as I embark on the continual journey of currently working on the SCC Players Production and rehearsing for Jenn and I's upcoming performance as azure rising, I also focus in on the ability to find that hidden enthusiasm that is still very much alive within me. And, so should you. Many times when a person begins a task and doesn't finish it that person thinks he or she is a failure. A failure because the task was not complete. But, everything takes time. Yes, there are tasks that need to be finished and those are simple, everyday tasks or activities that we don't have to think very hard to complete. And, there are tests that need to be met. So, what else is there? Everything. The ideas of improving is one aspect of the process of being. We constantly think of the end result and what must be done. But, when we understand that the process is the most important aspect of anything. It's not about being the best or the luckiest or the most accomplished. The goal is to understand that the process of working on it from one project to the next is where the growth occurs. This new year there are resolutions made because it's important for us to create these goal in order to complete. But, how many times do we create goals that will need to constantly be worked on as we grow? I teach and have for a while as I have created music, wrote, presented, directed and performed. And, out of all the activities I do, teaching is the most difficult. The goal is to have everyone in one room understand what is communicated and be able to apply it. Now, there are up to forty plus students I teach at a time or more depending on the class. How can I make sure each student obtains that knowledge? Tests? Projects? Papers? No. I need to see if they are responding in every way possible. Then, I can learn, grow and continue to improve. This is similar if not exactly like any creative process we are involved. There are challenges in any new attempt. And, those challenges seem too great to handle at times. But, sometimes there are great rewards. Jennifer and I began performing as azure rising back in 2001 and we have performed here and there ever since. We took the challenge and recorded out first album in the small home studio I was using back then. It was a challenge, but came to great rewards. Now, I'm going to be performing with just tablets (an Acer and an iPad). There are challenges and changes with working the limitations and advantages of each. But, the risk is something that is fun and can be rewarding. The goal is to not beat it all on red (or black for that matter) (a little roulette joke). You need to take the risks as they come. What if you don't? What if you'd rather keep it safe and comfortable. That is fine, but you will never know the rewards that are possible. And, yes, failure may come, but as I've stated in other blog entries, there isn't really a failure. More, it is a challenge of the spirit to continue forward. Never let the enthusiasm run dry and the negative views destroy your possibilities. Oh, and the performance I'm speaking of is the SCC Players performance of "The Unknown Zone". Twilight Zone inspired stories for First Night Spokane. And, my brother and I are working on the music for it. Every year we have a chance to rethink who we are and what we are as we have grown older. Yes, it's coming to a New Year, but I'm talking more about my birthday that just passed on December 1st. Yes, I am a year older. Some use the phrase, "a year older and a year wiser." That may not be true. It can be, but may not be. But, what is true is the year forces a person to look at him/herself and see what he/she was, who he/she is and what will he/she become. While we always think about these ideas, we don't always feel focused on them. When our birthday comes we have no choice. The year has come and the truth is that we each must be in the moment of our own creation. A renewal of self. This renewal is our choice. The most difficult fact that we have to face is that our choices lead us to who we are at that moment. Both the good and bad choices make us. We have created it. Through out experiences and our views, we have constructed that moment we exist in and live. The most important fact is how positive are we in that moment and what choices it will lead to in our future. The moments that matter and not just the moments that come before us as choices. My moment has come and is coming. And, each of us, including you, have that moment within you. Yes, there are times of the year we think about giving and thankfulness. This is that time. And, it's important to be thankful, but I'm going to go a step farther and state that beyond giving, taking and otherwise, there is understanding. And, understanding is a two way street. You can understand the situation of another, but if they don't follow through then it is just a one way street. And, you give what you can and move one. If the person is taking more than the balance, then the harm will come in the form of constant disappointment. This is not to be negative. In fact, there are many times when we creatively give to a situation of project and the return from others either involved or receiving the creative work do not understand and work together through the process. At that point only harm can come (and resentment). Yes, it's important to be thankful and to give, but also understand. Understand what others can give and what you are willing to receive. Because, if the expectations of receiving are great than the disappointment is great. Instead, thank them, the moment, and move on. Then, you allow yourself to creatively grow. Yes, fear. But, not the type of fear you'd expect. This is the fear of yourself. What does that mean you ask? Well, many of us walk through the day being what we are expected to be for others. Now, there needs to be civility, but what would happen if you just 'let go' sometimes. I don't mean to drink a lot of alcohol and sing Karaoke (even though that may be good for some), but the alcohol numbs who you really are. You are too scared to accept your real self in situation that it's easier to take something that makes it easier. Unless it's clinical, you are only allowing yourself to cover your true self. Yep, the true self. The true creative, open, explorer self who can say, 'yes, I'll do it.' Change is also a part of it. But, that is for another entry. This time let's focus on the aspects of fear of yourself, the judgement of others. That can't be escaped, but you can still explore. You need to allow yourself to take the risk. (Yes, it's a trend from previous blogs, but it's true.) Fear of others or of the results is much stronger and powerful than any external fear. We can understand external pain, but the internal pain, the pain that results from learning your true self, well now, that can do a lot of harm. But, the more true the direction, the sights and the process of self, the more successful you will be overall. Remove the mask and try it. The creative process may be many things, but the product, as wondrous as it may be, is not the purpose. The process is what's the most important. That's why it's called the creative 'process'. But, we do find satisfaction when completing a task. So, how do we balance the cause and effect of the situation? Well, the goal is to work forward and to continue to work through the process. Allow yourself to grow at your pace and not at the pace that is rushed. The best work was completed when the person or people took the time to complete that task. But, that doesn't mean that you take a lifetime or even years, or does it. Yes, there are times when the limitation become a reward for the process. That is the focus of the process. Those are healthy and positive limitations. For example, producing A Cloud of Victims, the cast and crew as well as myself had a limited time of weeks in order to bring the play to a state of performance. And, that was a healthy limitation because it allowed us to continue forward and to be aware that we needed to concentrate as we continued. Now, we may go through PPD (Post Performance Depression) after we are done, but it was the process that was rewarding. PPD can be with any creative process where the process is so rewarding that the end brings a sense of sadness. The next step is to love the results and step forward to the next journey. And, that's a meaning in life too. The spirit of mystery is the nature of the unknown to come. But, it's more than that. It's about knowing that the moment is valuable and that the mystery of what that moment will mean is just as important as thinking of what is to come. There is joy and sadness in every moment. But, the spirit in which we take it can make the difference between accepting and making. That does not mean we don't feel the pain and the hurt of the moment, but it does mean that we have to know when that needs to pass. Beyond the comparisons and the expectations, there is the spirit of the moment, the spirit of the mystery that we can embrace, if we choose to embrace it. And, we have that choice, even if we don't believe it. It may be more difficult than others to make that choice, but once we do we will understand that it all is transient. Both the joy and the pain. Yep, back to balance. It is the key. One another note. I discovered that the wonderful ambient radio program, Hearts of Space will be playing two tracks, "Midnight Rider" and "Stark Realizations" from my The Fear Inside CD under my Sceptre alter-ego. Taking a risk is something we do when we have an idea of an outcome that we hope for, but we feel the chances are slim. Taking a risk is a good thing if we need to just do whatever we need to with very little or nothing to lose. While most of us believe that we have nothing to lose, we soon learn that after we take the risk, we did have more to lose than we had first thought. So, risks are negative if we are not willing to give up everything we already have and own within ourselves. Now, chances are completely different. Chances are those opportunities that might be, could be or possibility. We may still have something to lose, but that is if we put it all on the line and the chance becomes a success or a sad story in our memory that we want to forget. So, why am I talking about risks and chances? Well, because we see these every day of our lives, but how many of us recognize the difference? How many of us realizes what we are risking or when and if we should take the chance? This is the key to understanding the work we do no matter what field we work. Chances can be positive and rewarding, but they can turn sour. We may not have control over when the chance will be worth it or if we should truly take the risk, but we can be prepared both before and after for the results. Which Way is the Right Direction? Many of us work through the days, weeks and months doing what we feel is right, or just doing. And, we make the choices that have some or little impact on our daily life. We may not realize it, but the creative search for ourselves is constant and continuous. The only task that is not to help develop the creative force within you is to not make a choice that changes from what you chose before. Difference is creative, but not all the time. The small changes is creative, sometimes. Staying with what works best is creative at times. We need to understand what we are capable of dong and do a little bit more. That challenge within you helps to keep the juices moving, focuses your life and makes time your own. I create music, voice act, write, direct and advise, but there is a point where I need to know the direction at the time. And, through the creative processes within me I learn when to take the risk and make the change or to stay with what works for the moment. Then, choose what I feel is the right direction. Checkout the poster for a play that I wrote and re-wrote and now directing. The time is coming for me to see how it plays. This poem has been a part of my life for a long time. First , I read it in a deathbed edition of Leaves of Grass by Walt Whitman that my mom gave to me when I was in junior high. Then, I read it again when I was taking American Poetry in college. Then, I used it in a production I produced that used poetry and words of Whitman. And, then it inspired me to create A Cloud of Victims, a play that I am now producing. It always resonated with me because it brings the question of meeting another person to light. How do we meet someone? When do they become friends, great fiends or simply someone we connect to at the moment? That is the process of the moment. In producing the play now I question how connected to each cast member I'm working with in this production. How well do I know them and how much have I learned from them are ideas and questions that come up in my mind. Also, will we become good friends or simply acquaintances (with the illusion of friendship from Facebook)? Then, I wonder if that is even important at all. I am working with them now and isn't that the most important, making the most out of the moment? That is the important part. The creative process isn't about longevity. It's about the moment. Nothing is infinite. All art work, music, movies, poems, all anything is simply the moment. Everything else is simply memory. The moment can never come again. The experience of reading a poem for the first time, seeing the art work, watching the movie or listening to music, can never come again, it's simply a memory brought up from the moment. That is the magic of theater, the moment can never come again. A wonderful experience of the moment. So, it doesn't matter if the friendship lasts or the work lasts, its the moment that will be within us. That is the key. How many times have we (me included) decided to excuse ourselves from venturing forward with what we desire? We have an idea and we go forward but then we allow circumstances stop us. We don't have the experience or the education. Maybe we don't have the tools or the supplies. There are many reasons we can construct to avoid doing what we want to do and what we feel we want to do deep within us. But, it's important to remember that you are stopping you. There have been many people for centuries that have created and actively participated in their own creative process without all the fancy up-to-date tools. They also never had the official education or vast experience behind them. Yet, they continue forward. The creative process is not about perfection but about doing and being. Actively working forward. Yes, there is that need to become more and gain more from it. That cannot be ignored. But, the ultimate goal needs to be the strengths within you to continue forward and respond to those excuses with, "I'm still doing it." What happens when others do it to us? Ah, you didn't think I was going to go there did you? Well, disappointment is a fact. People will surprise you and they will reveal what they are really capable of doing. But, then again, they may speak the words and even try to act, but they will only be allowing their excuses to take over. That is when they are beginning to melt your fire of inspiration with their ice of weakness. To be honest is important in any collaboration. But, when one individual states what he/she can do, but quits or turns away, then it's time to move on. That person will have to live with his/her own ultimate problems on their own, without you. A lie can be a word or an action. Believe in yourself and don't allow others to break your ice of enthusiasm. Only allow those others to melt away. What's the Use of a Penny? We are given a penny's worth of advise. We save a penny every time we buy something that has a $.99 at the end of it. We also think of a penny as what we leave on the street. Yet, do we know the value of a penny? Let us think of this as a metaphor for the arts. When watching a movie or a play the first minute and last minute is the most valuable, yet those are only two minutes of the movie, or two cents of it. So, why are they so important? The same reason why the first and last sound of a song or the first and last word of a poem or a novel are important. Or, even the first and last stroke of a picture. They're important because they are not only the bookends to the experience, but the first and last impression. Like a road trip. The first moments are excitement and ambition and the last moments are thoughts and memories of the trip. These are valuable because they set up what is to come and what we take away from the experience. Like a penny, it seems like nothing important, but if that one penny was the only money left in the world everyone would be fighting for it. Yet, they don't because they always think there will always be more chances. The moments don't come again. Prepare for what is to come, experience the moments and embrace the experience. That will make it important not only to you but to everyone who was a part of the experience. From the entrance to the exit we are always a part of the moment. 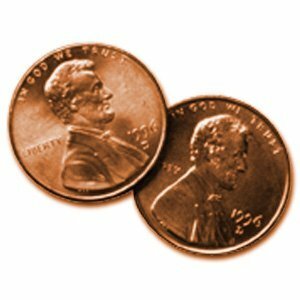 So, take two pennies, keep them somewhere special and think about the importance of those two coins and how they are the beginning and the end. For all things, especially creative activities, begin with an idea and end with a thought. It has come full circle. It's been a year since I first opened my own site, adamcsharp.com. And, I've taught the Creative Studies course beginning last Fall. I have now taught it four times. This is a class I developed right after I graduated with my Master of Arts and was never at the right place to teach it. The positive aspects that the students who have taken it have gained enriching interactions and a better understanding of him/herself and the experience of not only the creative process, but of living. As an instructor, I find this very rewarding. It is also the completion of directing 6 Characters in Search of An Author, a place that I always wanted to direct, but never thought I would direct. These are wonderful surprises I learned this year. And, now it's time to bring to life A Cloud of Victims, a play that I've developed for years. I have a great cast and I'm interested in taking this on the journey. We can never control time, but we can use time. It's important to know how you can use it when you can use it. And, let the possibilities spiral forward into the new goals to reach. There is a road for each of us. Like the many cars on the freeway and streets. We each have our destinations, our purpose for driving and the reasons for going to those places. But, we don't know them. We travel forward to our own destination. But, how many of those people are traveling to the destination of their choosing. Rather than needing or having to be where they are going, how many of them are choosing to go where they are going. The answer is most if not all of them. But, some of them, if they have to go to work, buy gas for their car, or any other task they they feel they are required to do are places they think is not of their choosing. It all is of our choosing. We create our road before we drive it. It may be rocky or smooth. We may travel for long distances or feel we are required to travel to certain places, but we choose each and every direction. We can create the road, the problem is that when we create it we can't always see where it may be going, so we become frustrated and feel that others have stopped us, diverted us or kept us from reaching where we feel is our destination. But, that is not true. The most difficult aspect of personal responsibility is to know that we have chosen the direction, whether consciously or unconsciously, we choose the direction and build the road before we traveled it. The goal is to recognize that we created it and, while traveling the road, work to recognize how and what we want to create as our future road. But, just like road construction, it takes time, focus, the ability to envision what we can and commit to the construction no matter the cost. Only then can we take the creative step forward to the future of our choosing. We are told, and sometimes we believe it, that we have all the time in the world. In fact, time may be endless, but our possibilities are not. Time used to be a long process. A person could initiate a creative project and see it through to completion and find a personal satisfaction from it. Now, with the speed of technology and our mind-set,we must rush to complete what we begin and move to the next project as quickly as possible. And, if we want to acknowledge what we've done and what we can do, we must realize that time is not an enemy nor a friend. Our goal is to locate what we can accomplish in the time we have. Living every moment at the creation of what we are working on or existing with the joy of being. These are the choices we make. To look back would only poison the mind with regret, and to look too forward will make us fear the moment in which we are living. So, time can bring possibilities and it can bring none at all. The reach to make what we are at the moment the most important is what we need to focus on. How many times have we thought back to what we could have done only if...well we cannot avoid these thoughts, we shouldn't dwell on them and we can't ignore them either. Then, what is the choice? What else do we have? What if we look back at an opportunity that we didn't take either because we were too scared, afraid of not being prepared enough or that it might simply be a waste of time? Again, what is the answer? Enough with the question. Now, the answer lies in what we are at the moment, at this point as you read this, what you are and what you are capable of doing is within you right now. That doesn't mean you can create a masterpiece of work that will be hailed as the greatest work since, well, the work art, but it does mean that if you had the potential then, you have it now. The doubt that you created in the past is still there, but the realization, self-realization, is now in place to not allow those doubt to take hold of you in the moment. A simple word, action or thought can make the moment more than just a passing dust particle. I teach classes where I see students eyes focused, yet they never take the risk and say what they think. I highly encourage discussion, yet they only wait for others to speak. I'm not talking about those who are in class because they have to be and don't care about it, I'm talking about the students who care or have learned to enjoy and care about the learning experience in the class. They sit, focused, like a cat, eye's wide, yet mouth closed, always waiting. Waiting to hear others speak. Waiting for the right moment and to have the right words that will never come. The goal is to make the moment. Not with regret or with encouragement for the future. But, making it now. At this moment. Change comes if we want it to or if it is placed upon us. We can embrace change or we can deny it. Either way, we need to know it comes. Finishing producing 6 Characters in Search of an Author was difficult. It was a challenge, but one I sought out.And, then, during the run of the show there were difficulties beyond the production that came up that were more personal. And, now, times have changed. Yes, change is a good thing. I watch my son grow from a baby to a little boy and it warms my heart to see him grow, but he will never find his way back. Unlike Peter Pan, we all must grow up. If we don't then the pains of life will surround us instead of finding the joys as well. We will be forced to be engulfed with change all at once. And, with no control, we will feel a sense of fear within ourselves. So, where is that balance I talk about? Well, it's different with change. Everything comes at a cost. You lost one thing for another. You can adapt and maybe regain what you wanted if it was taken from you, but it's what you choose that's the most important. And, the effects of those choices will resonate like ripples in a pond, a river and an ocean. Working with actors of varying levels on a difficult play such as 6 Characters in Search of an Author is challenging, but to see it come alive as the audience watches not knowing what will happen next has its rewards. The creative process to reach the moment of performance is always difficult. What will work, what won't, what needs adjustments, how will the audience react and so many other questions come into the mind of all those involved with the play. But, as the director it is important to give the guidance and enthusiasm needed for those who are working on the play to feel comfortable with the risks and allow them to make the play their own. Once they own it then the true nature of the creative process unfolds and the performance can be free like a bird in the air floating. But, it takes work to reach it. And, the director must create and earn that trust to create the world for the cast and crew. This play, among all others has been a challenge that I am proud to have taken with these actors. If you take the risk with everyone committed then failure will never be found. Here's a nice write-up about it from someone who saw it. Ambition can be a great thing, but it can also be a danger if not focused on untempered. So, how can we balance the ambition and enthusiasm without limiting the abilities we can find? Well, this is a problem I've had for as long as I can remember. I always had the enthusiasm for doing things and this ambition has led me to some difficult situations. Situations that I had to work through or figure out or, find myself in trouble for it. Yes, those who have enthusiasm attract those who have it or want it. But, what if the person wants it, but is jealous that you have it? Well, that's when the fear comes in, fear of oneself and what others fear because of your energy. They don't know how or where to find it, so they decide to stop wherever its coming from because it intimidates them. So, before I diverge to far, let me clarify, enthusiasm and ambition are strong motivators for oneself and can help someone reach the success of self (because external success is a subjective meter). But, if someone has the enthusiasm and does not keep it focused it can lead to a downfall of the self because the person isn't using it, instead, he/she is expecting results from it. This enthusiasm lead me to self publish my first CD and feel the ambition I had in myself. Great story and presentation. Watch and learn. Do we ever leave out past? Yes, it is the past and some people move on, others obsess over mistakes, and yet others try to look back to only remember their fond memories. Of course that last idea only leads to denial. But, what's the balance? Well, if I could figure that out then I would have created my own religion, Pastology (the study of the present to comes to grips with the past in a balance of positive and negative ideas). Okay, so back to reality. The past shapes us and we have control of how it will do it (even if we pretend as if we don't). Or, at least we have control of how we understand the past. It's like watching a TV show that we enjoyed when we were a child, but now we think it's not as good as we remember? That's because our memory of what we saw and who we were at the time connected. We existed in the moment and that's what helped us become who we were, and who we are now. Allowing the moments to create themselves is what's important. The human mind will not connect to those negative memories unless they are provoked or when we choose to connect with them. But, the positive memories will stay strong within our everyday self. The sights, smells, touch of everything. What we hear and taste help us to grow. Matthew Fox discusses some of the importance of living in the moment (and incorporating spirituality) in his book, Creativity. But, it's important to realize that while we have regrets, we can embrace the moments we had and know that if we remove the regrets, the positive moments from the past will naturally surface. The mind is self-preserving, and will allow those positive thoughts. I can't help but continue to remember Robert Frost's poems, "The Road Not Taken" and Langston Hughes' "A Dream Deferred", as I grow older. I've lived in several states, worked various different jobs, produced and played music, acted, directed, wrote plays...well all the other stuff, and I still think when should I stop and be satisfied with what I have and who I am? Well, I could stop, but what would that do? First I think it's important to remember that idea of balance again. Balance the enthusiasm and drive with the joy and happiness of what you have. How difficult it is to remember this basic idea. In my creativity class I discussed the idea of Truth and the desire to know what Truth is. Well, each person has his or her own views of what is Truth, so how can it be defined. Fact can be defined, but Truth, well that's a different story. So, we continuously create our Truth. Let's go back to the balance and the Frost and Hughes poems. We need to have the courage and ambition to do what we believe and what is important to us to pursue in the future, but we can never forget the importance of what we have and who we're with. I've learned much from my conversations with my new friend, Craig Padilla, but if I didn't take the risk and contact him, I would never have gained the positive discussions I've had with him. We can learn many things from the moment. The moment is what makes us who we are in the future, what we have become from the past and once that moment is gone, as it can be at any time, then we need to believe that we made the most out of the moment and can take that forward with our ambition. I've included the poems below. As we are young we question many things and take many risks. Under the proper guidance of our parents or caregivers we learn to navigate around the dangers. But, when do we lose our energy for personal creative growth? Many times, some may choose to take drugs, drink or other activities that deviate from their fear of their own personal creative self. (While there are many people who do not need those reasons, they just do the self-destructive patterns without the creative nature, I am speaking of those who do take the creative risks.) Depression, fear, and self-doubt are constantly on the horizon. So, what can we do to explore our youthful creative self without losing our own grasp on reality that hits us in the face every turn we make? Well, the answer cannot be found through escapism. Nor is it found through giving in to the ideas that force us to believe in whatever is the norm. The goal is to do what we need to do balanced with what we feel is right within our self. It's like eating the right foods but preparing them the way you would like to eat them. Eating the food that is healthy, even with some cheese, is better than not having it at all, or even eating some of the diet foods that have all the preservatives. Yes. this is a food analogy. Am I hungry? Maybe. Here's a good recipe that shows that balance. Vegetable Bean Medley. Now back to the point. The point is that balance takes time, risk and is overall more rewarding than the other two options. A business man who can wear the suit when needed, but can also go wild with his creative self when he can is better than being a suit or a straight wild person without any direction. Structured chaos is what it's always about. Balance. Then, we can still hold onto the youthful ideas and be a grown up too.Take this poem by William Wordsworth. Also, below are poems by Wordsworth and Samuel Taylor Coleridge who both discuss these ideas through their poetry. I decided to go on a journey like none other I have before. I first read 6 Characters in Search of an Author by Luigi Pirandello when I was seventeen. Since then, I've been working on trying to adapt it for modern audiences. It's a great play, but I always thought it would be good to connect it to reality as we live today. So, I re-wrote parts of it and now I have cast the play and begun the rehearsal process at Spokane Community College. As far as I know, it's the first time this has been produced in Spokane. If you know otherwise then let me know. The challenges are great, but rewards will be much worth it. It's a good start with some great actors. I look forward to working on this classic story of identity. Published a new CD, Firestorm under the A.C. Sharp name. It's a great collection of desert grooves and rhythms along with grest mysterious atmospheres. Inspired by world percussion and cultural dance, this ablum has a variety of moods and rhythms. It also has some longer and shorter tracks. It's woldbeat experience that is unlike any other. Check it out on itunes, Amazonmp3.com, and many others. It's also on the main seller, CD Baby. You can also check it out and purchase tracks on my music store. Just click on the Music Store tab at the top and find Firestorm by A.C. Sharp. Or, click on the link below. A little while ago I decided to publish my second Halloween soundscape CD, The Fear Inside under my Sceptre name. It's filled with dark atmospheres and themes perfect for any haunt event. Recently, Scareworld Magazine published a review on the CD. calling it something that "provides much for the scare attraction to work with, melodies and haunting themes which can easily b e looped for continual play." Check it out. Life is full of adjustments. Some we can control while others we can't. So, how do we prepare? Or, better yet, how can we feel the Flow? Mihaly Csikszentmihalyi studied and wrote about flow and the creative ideas. It's a great source of creative ideas and one I studied throughout my Masters Program. Back to adjustments. If we try to prepare for all the adjustments life gives us we will constantly be creating plans of which only one percent will actually happen. On the other hand, if we aren't prepared then we will not have the right tools to succeed as we would wish. Life is adjustments. Sometimes we can look forward to these changes and enjoy them as they come, but if they are negative or painful then we are struggling with the results and the effects of them. Only through a calm, focused, yet relaxed flow can we be ready for the future of unexpected adjustments. If we could tell the future than we would always be ready, but no one can fully know what the future holds, so we release our selves to flow. Yes, like an ocean, flow is important. And, with every flow there's an ebb. I used a song by Jon Jenkins from his fantastic album, Flow, as the ending of my Master's Performance. Because only after ebb can flow occur. So, as the life adjustments take hold, a drink won't solve it, nor will self abuse or neglect, only through the use of flow can we understand that success is not about money or fame, but about understanding, understanding our self. Because, as time turns and we reach our end in life, we will only be facing our self and only our self. Without the money or fame we can smile at who we are and flow. I think back to a song I wrote with with my wife, "Where Do You Go?" when we performed in Southern California as azure rising. We wrote about the struggles of life and what we need to do to choose how to see a situation. You can checkout the lyrics on on my songs tab at the top. You can also hear the song in my player at the top. But, better yet, you can purchase the album Lessons on my store page. But, now back to the point. The choices we make will always affect how we live and what we can become. But, sometimes those choices are risks and can lead to social failure and personal regret. A good business can make a failure into a success. Well, sometimes. But, when it is something we, our self, create, then it becomes very personal and the pain can run deep. A relationship is similar in many ways. We first give a part of our self, then we trust in the other person and finally a comfort sets in and we can enjoy the relationship. But, what if the person lies to us, or if the individual changes in ways that are hurtful to us? Well, now we feel the pain, personal pain that is similar to that of a social failure in the attempt of a creative process. That self awareness is lost. This is still the fear to take that risk. So, when is the best time to take the risk if it can lead to failure. Well, first, we create for our self. Next, we can choose to share that result of the creative process with others. But, that risk, while highly encouraged in competitive standpoint, can be counter productive if we allow that to be the deciding factor for our creative self worth. While we ask ourselves, when is it the time to create? I ask when is it not? What is the time? Sometimes we want to attempt a task or an activity, but we wait for the right moment to be inspired. Inspiration cannot be pushed or forced. Eureka comes when our mind is prepared, not when we think we are prepared. But, if we take that risk and step forward then we can discover that inspiration. Eureka will reveal itself and we can find the changes in the wind. The future reveals itself through the moments. Sometimes we must immerse ourselves in the task, or we must release our worries and frustrations about what needs to happen and allow ourselves to do what could happen. I say could because the next step is to reach to the possibilities when we develop what we can within our self. I took this journey when I decided to play the djembe. This African drum was a new experience for me. But, it opened my ideas and helped me to see what I am capable of creating. At first I experimented, then I learned how to play, and since then I've recorded music with it, collaborated with others, conducted workshops with it, performed with it and played it for theatrical productions. But, I would never have realized that possibilities. Take the risk and see what you can find in the winds of change. Below is my main djembe that I use when performing. Creativity is not the jump into the known, it's the dive into the unknown deep waters of mystery. Taking the risk that may or may not be fruitful to a critical or even personal success is one that still began a new journey of self awareness and self understanding. As a director and an instructor, I am constantly meeting people who don't want to try and be a part of theatre simply because they are afraid that they won't be successful. But, while directing performances in educational theatre (as I frequently do at Spokane Community College) there is a risk, but the personal success will come through. I've worked with many students and, if they commit to the project and the rehearsal process, they will succeed. Casting for a performance is a risk in itself, but the director must see what the person can become by the end of the rehearsal process. This is the important aspect. So, taking the risk will lead to that new awareness. Now, it's true that I've worked with actors in the educational theatre atmosphere who have not been successful and gained the new self awareness, but that is because they didn't commit to the process. There is a reason to look outside of the box and to reach the deep waters of the unknown. It's what poets such as Samuel Taylor Coleridge and William Wordsworth wrote about. And, most definitely, Walt Whitman, the greatest American Poet. The goal is not to be something, the goal is to tap into the deep part of yourself and as Whitman writes in his paramount work Song of Myself, "I celebrate Myself"
Using pictures from Eric D. Sharp, I created a relaxing and meditative video that includes a nine and a half minute edit of "Past Progressive" from my new CD, The Reign of Time. It's a soothing and enjoyable trip. Enjoy. . . Throughout our lives we meet those who may inspire us, those whom we admire and even those who we may like their work, but who have an ego and a 'better than thou' attitude. They may have awards and accolades. They may even be very successful with producing the work for others to pay them. But, how 'good' are they? Now, how does the attitude affect the person who may admire that creative individual? There is an excuse that some say that is discussed in Born Under Saturn by Margot and Rudolf Wittkower where they outline specific times when a person is who is born is 'creative'. Without arguing the validity of the argument, let us view the statement about the creative individual having 'artist's melancholia' or that the creative individual must be socially detached and moody to be truly creative. This simply is not true. I have students believing this and want to (or need to) believe it in order for it to make sense. The truth is that the creative individual struggles, yes, but can easily adapt to social norms and means (even if he/she chooses not to). The goal is to respect those who praise your work and to be happy that it connects with them. As a theatre producer, director and writer I frequently attend theatrical performances. I recently attended a performance where I introduced myself to the director and he had a 'better than thou' attitude. Now, the sense would be to be happy a fellow colleague was attending the performance and to be polite and professional. This person was neither. Is there an excuse since he/she is in the arts? No, it is not. It never is. That's why it's important to realize the creative nature is within everyone, let's share it with joy and not think that we can rise above others, because we cannot. Ever. There are many ideas of what is real, who we are and what defines an individual. I don't mean a person, I mean an individual, someone who chooses to be the best they feel they can at the moment. That is what the creative fields are all about. Yes, money and recognition are very rewarding, but when you are alone, in the moments before sleep, you are with your own view of who you are which evolves through your choice. It may seem confusing, but it's the focus on the moment and caring about ourselves that is paramount. Not with an ego, but with general caring. It's difficult for many of us to do (it takes effort), but it is possible. Not all the time, but sometimes, focus on what you are capable and accomplish that, without expectation, without doubt. Only with the whole Self. As I continue on my creative journey, I continue to search for the moments as much as anyone. And, when I find them I hold them close to me. Some lessons I've learned through my creative journey. Here's a few books that have inspired me. As a theatre director I enjoy taking risks. Wether that is to update 1984 with a modern twist of placing it in 2084 with more technology and media or directing The Dining Room in an arena staging area, I enjoy taking these risks and helping to carry on the great tradition of sharing the plays that best illustrate the human condition. Now, I have chosen to direct and modernize Six Characters in Search of An Author by Luigi Pirandello. Considered a classic Theatre of the Absurd play, we follow the six characters as they enter a rehearsal for another play. But, as time has continued the play may not translate as clearly with modern audiences. Also, it's important to apply it to modern times. So, taking the Dover Thrift Edition of the play, I have decided to modernize elements of the play. I asked myself: what if the characters existed as real people at one time and Pirandello was writing a non-fiction play about them? And, what if their 'spirits' embodied others to reveal the truth? But, even better, what if the play that the actors were rehearsing was actually the play about the characters? This opened my mind to new possibilities. Instead of the play working as an intellectual, philosophical, and psychological study; the play would become a modern commentary with a mystery all it's own. This is the risk I have chosen to take. Now, after I cast the play let's see how well it works. As I continue to teach a course on the Creative Process, compose music, write, work on video productions and direct I am reminded of The Neverending Story by Michael End. Not the movie, while the movie had some moments that I enjoy and it is very well created in it's own right, I mean the superior novel that was the basis for the movie. The novel takes the character on a journey of self discovery and self awareness. It's difficult, at times, to reflect on who we are and what we can accomplish. Also, as the future slowly becomes present we lose time by committing to our technological needs, our every day needs and the continuation of attempting to 'live in the moment.' While it may be difficult, it's important to remember that we live only one life and the moments are all we have. If you have never read this novel, I would recommend it. Also, take a moment to create something that is an expression of you. Creating without the distractions of what needs to be done, what has to be done or what should be done. Just to create with the whole Self. My new CD, The Reign of Time is released on CD Baby. Three extended tracks of music. Epic, expansive, meditative and all-encompassing. Stressed? Take this journey. The CD will be available on iTunes, Amazonmp3 and other digital music sites soon. Speaking to several people over the past week and teaching the Creativity Course for the second time as well as working on music projects and plays has made me realize how much people are obsessed with the product rather than the process. The process is a part of life and a part of who we are in life. We are born and develop how to walk, speak, gain awareness and begin to understand who and what we are in connection to the world. I am always reminded of Thomas Troward on his book titled The Creative Process in the Individual that discusses the full aspect of the creative process. I used this text and wrote notes in it and bookmarked it more than any work I read for my Master's Thesis. The book reminds us that the process is a part of life and is life. It's all about the process and not the product. When rehearsing for a play, I focus on the process, the product has its rewards, but the process brings enlightenment of self awareness and personal growth. The product only is a reflection on that process. That doesn't mean you don't want to share the product with others, but it does mean that the individual should focus on how his/her process evolves and encompasses the individual as a whole. Only the creator will have the full understanding of the meaning of the work. This is a very difficult concept for many people, especially in a society that focuses and concentrates on testing, evaluations and results. Yes, those can be important on an economical perspective, but they will not lead to growth or awareness of the present to create the future. The moment is paramount. That moment will never be again, so make it true. Finalizing the material and publication of my first extended ambient CD, The Reign of Time under A.C. Sharp. With tracks that are 40 minutes (Past Progressive), 24 minutes (Present Perfect) and 14 minutes (Simple Future), is my devotion to the new year. With hope and encouragement, I bring this CD to life. I hope you will enjoy this meditative and exploratory journey through the imagination. Had a success performing at First Night Spokane 2012. Finished teaching a full quarter of HUM 201 (Humanities: Past, Present and Future with the concentration on the Creative Process) at Spokane Community College where I am the Theatre and Film Instructor. It was a great course to each for the students and myself. Not only did they learn about each other, they also gained more knowledge on the creative process as it applies to their individuality. We constantly look towards the product as the goal, but it is the process that is most important. Only through the process do we succeed. I am also producing and directing a few one acts in the Scenes of Life: Living in the Moment. This is an annual one-act festival where I train students to direct original submitted scripts. It's a fun and rewarding show. I am also finalizing a new CD, The Reign of Time. This is a true exploration into ambience and meditation with three tracks, with the longest track 40 minutes long. I will post the creative texts that I endorse and that are read by the students in the creative process class in my next post. . . .And so it begins. I've been working on various projects including finishing and publishing The Fear Inside under the Sceptre name. Also, finished directing These Shining Lives by Melanie Marnich at Spokane Community College. Now, other than working with the SCC Players on their First Night Spokane performance, I continue to work on other writing and composing projects as well. Yes, it's been a busy few weeks. And, I have a fifteen month old who I love to spend time with too. Well, other than teaching at Spokane Community College. I will say, it's nice to have the end of the Fall Quarter coming ever closer so that I can learn more of the wonderful additions to Cakewalk Sonar X1. I've been using Cakewalk for over ten years and it's been the most intuitive and complete DAW system to use. As a PC user, I rely highly on the MIDI and editing tools that are both advanced, yet easy to learn and use. I've recorded all my music with Cakewalk and will continue to use it. Well, now back to more composing and writing. There's only so many seconds in a minute, minutes in an hour and hours in a day.